Are you in need of an affordable solution for storing oversized parts, heavy parts, and/or boxes? 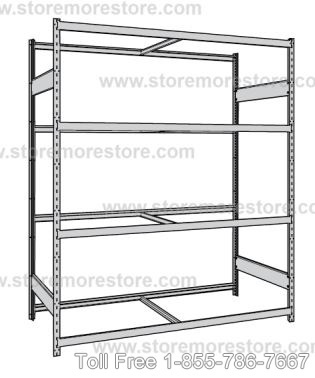 StoreMoreStore has numerous types of bulk racks to meet your industrial storage needs. We have bulk racks with steel decking, wire decking, and no decking. Our bulk racks are available in “starter” and “adder” units so that you can customize your order to match your specific requirements (the first rack section in each row must be a starter unit because the adder units will not stand by themselves and must attach to the starter unit). Also, the bulk racks are available in 17 different colors. 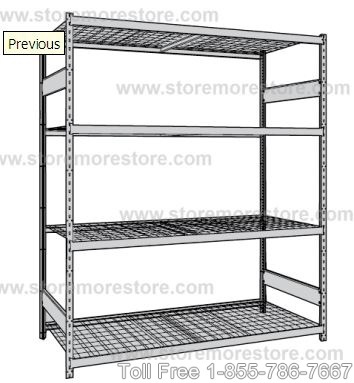 You can find all of our Bulk Rack industrial storage solutions online at StoreMoreStore. 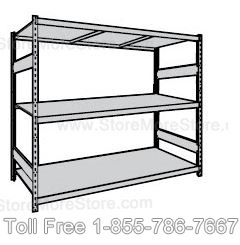 We have numerous types of Industrial Shelving Units available as well. And if you can’t find what you are looking for or need any help, please give us a call at 1-855-786-7667 to speak with a representative.